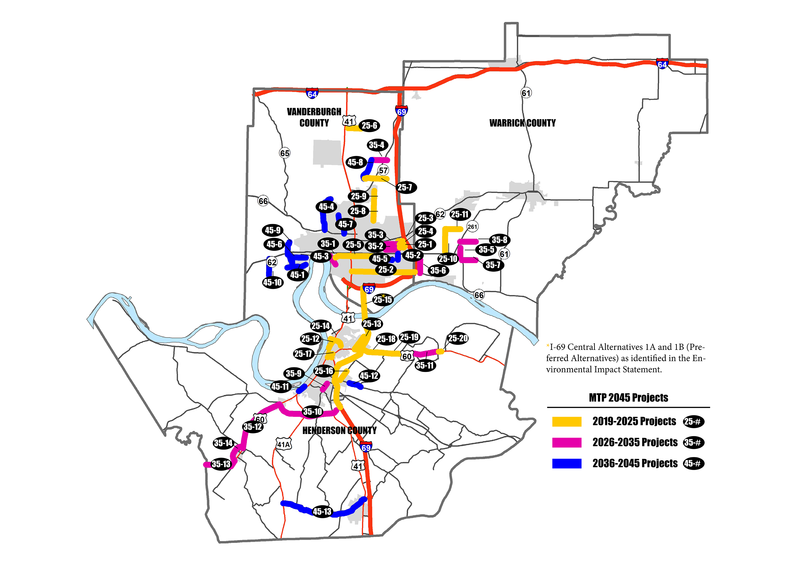 As the Metropolitan Planning Organization (MPO) for the Evansville-Henderson planning area, EMPO is required to conduct a continuing, cooperative, and comprehensive transportation planning process, with a 20-year horizon, that results in producing a Metropolitan Transportation Plan (MTP) and Transportation Improvement Program for the region. The MTP is a long range planning document that identifies transportation deficiencies, policies, strategies and projects over the next two decades. It is updated on a four-year cycle. EMPO coordinates the development of the MTP with local, state and federal partners. The MTP makes the Evansville region eligible to receive federal transportation funding to improve, maintain and operate highways, public transit, bikeways, sidewalks, and related facilities. Transportation projects must be included in the MTP to be eligible to receive federal funding within the EMPO planning area. The MTP is also required to show Conformity with the IDEM’s State Implementation Plan for mobile source greenhouse gas emissions. The EMPO Metropolitan Planning Area (MPA) contains approximately 650 square miles in Indiana, including the City of Evansville, Vanderburgh County, Warrick County, and a very small area of eastern Posey County. In Kentucky, the Study Area encompasses approximately 440 square miles which includes the City of Henderson and Henderson County. 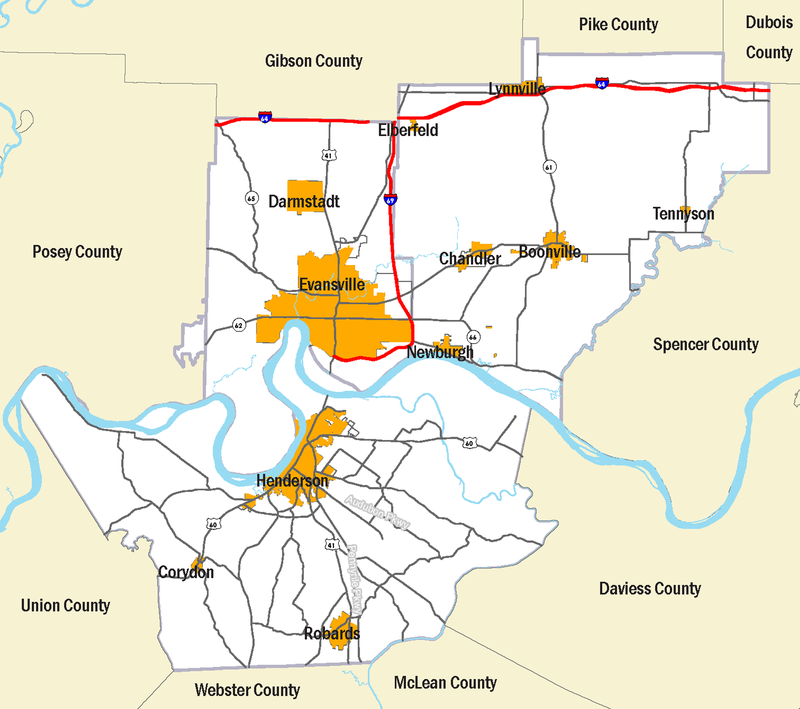 With a population that exceeded 200,000 in the 2010 Census, the Evansville-Henderson urban area has been designated as a Transportation Management Area (TMA). Transportation Conformity is required under Section 176(c) of the Act to ensure that Federally supported highway, transit projects, and other activities are consistent with (conform to) the purpose of the approved State Implementation Plan (SIP). Transportation Conformity applies to areas that are designated nonattainment and those areas redesignated to attainment after 1990 (maintenance areas), with maintenance plans developed under section 175A of the Act for the following transportation-related criteria pollutants: Ozone, particulate matter (PM 2.5 and PM 10), carbon monoxide (CO), and nitrogen dioxide (NO 2). Conformity to the purpose of the SIP means that transportation activities will not cause new air quality violations, worsen existing violations or delay timely attainment of the relevant National Ambient Air Quality Standards (NAAQS). The Federal Transportation Conformity regulations (Federal Rule) are found in 40 CFR part 93 subpart A, and provisions related to conformity SIPs are found in 40 CFR 51.390. 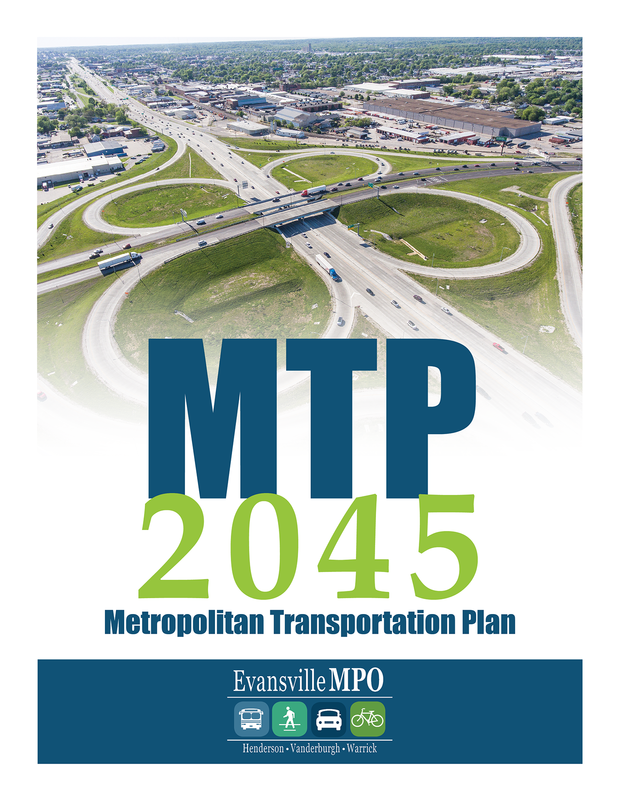 Transportation conformity is being established for the Metropolitan Transportation Plan (MTP) 2045 and the FY 2020-2024 Transportation Improvement Program (TIP) adopted by the Evansville MPO Policy Board. The conformity is needed as a result of a recent decision from the United States Court of Appeals for the District of Columbia Circuit in South Coast Air Quality Mgmt. District v. EPA (“South Coast II,” 882 F.3d 1138), which struck down portions of the 2008 Ozone NAAQS State Implementation Plan Requirements Rule concerning the Ozone National Ambient Air Quality Standards (NAAQS) as well as the anti-backsliding requirements associated with the revocation of the 1997 Ozone NAAQS. 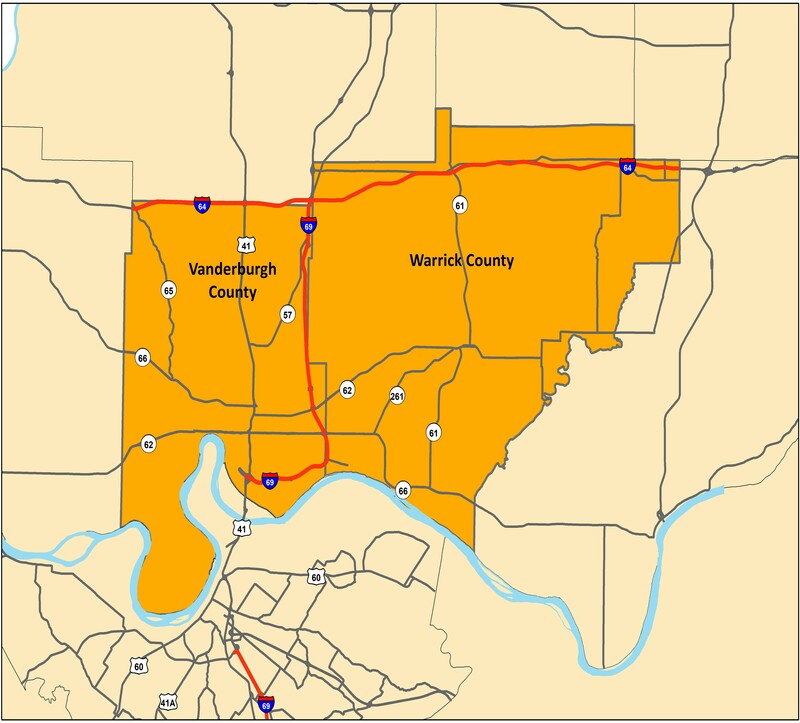 Areas such as Vanderburgh and Warrick Counties that were maintenance areas for the 1997 Ozone NAAQS at the time of revocation and are designated as attainment for the 2008 Ozone NAAQS, have not been required to make transportation conformity determinations for any Ozone NAAQS since the 1997 Ozone NAAQS was revoked in April 2015. Under the recent court decision, these areas, referred to as orphan areas rather than non-attainment or maintenance areas, necessitate new regional conformity determinations.